Hire Space takes your privacy very seriously. Below are T&Cs, Privacy and Cookie policies. This summary is intended to provide an overview of the community guidelines we follow as part of the standard terms between Hire Space and a Service Provider. They do not constitute an agreement and our full standard terms must be consulted. For full standard terms please see below. Hire Space generates new event enquiries to venues and other service providers. Hire Space is a free service for customers. Commission is paid for by the venue or service provider and cannot be added on top of a client’s quote. Confirmed bookings are commissionable by Hire Space when any of the following has taken place before a client is in contact with the venue or other service provider directly. Hire Space requires that copies of contracts and receipts of other spending by clients are provided promptly by the venue or service provider. Hire Space may issue commission invoices from the day after the event. Should the venue or service provider not be able to share the total final spend amount due to any reasons, Hire Space reserves the rights to charge commission based on the initial quotation or estimate of the final spend. Hire Space also offers discretionary paid marketing services which provide enhanced exposure of venues, or other service providers, to our clients and are billed separately. Hire Space invoices are payable within 28 days. This page sets out our Terms and Conditions on which you (the “Service Provider” or any of your representatives) agree to be bound by making use of Hire Space Website Ltd (“Hire Space”) services. YOUR ATTENTION IS DRAWN IN PARTICULAR TO THE PROVISIONS OF CLAUSE 4, WHICH ENTITLES US TO CHARGE COMMISSION ON ANY BOOKINGS YOU RECEIVE AS A RESULT OF USING SERVICES PROVIDED BY US. Please read these Terms and Conditions carefully as they contain important information regarding your legal rights, remedies and obligations. These include various limitations and exclusions and obligations to comply with applicable laws and regulations. These Terms and Conditions are accepted by you or any representative making use of Hire Space services having been made aware of these terms via any means of communication. Solely for the purposes of documentation, we may also ask you, or any representative, to accept these terms via our Site or by signing these terms either physically or electronically. The Hire Space services comprise of three areas, a) our Online Enquiry Platform, b) our Hire Space Expert Service and c) our Marketing Services. Use of any of these three services constitutes use of the Hire Space services. The Hire Space Expert Service is provided when a member of the Hire Space Team suggests Service Providers to Customers, who may or may not have browsed the site, so that they may learn about and book venues directly with Service Providers. Marketing Services comprise additional marketing activities carried out to market Service Providers to Customers. These activities may include, but are not limited to creation and distribution of marketing literature or social media posts, email marketing, live events, print media, placement on our Site, consultation and pay per click marketing campaigns. They may also include other representation of Service Providers as the Hire Space Team shall think fit from time to time. This includes activity under our EventLAB brand. You understand and agree that Hire Space is not a party to any agreement entered into between the Service Provider and Customer, nor is Hire Space acting as an agent, or in partnership with any Service Provider or Customer. Hire Space has no control over the conduct of Service Providers or Customers, other users of the Services, Listings, or any Service Provider advertised on the Site, or advocated by our Hire Space Expert Service, and disclaims all liability in this regard to the maximum extent permitted by law. You acknowledge and agree that, by using or accessing the Services, you are indicating that you have read, and that you understand and agree to be bound by these terms, whether or not you have accepted these terms via our Site or by signing these terms either physically or electronically. If you do not agree to these terms, then you have no right to access or use the Services. If you accept or agree to these terms on behalf of a company or other legal entity, you represent and warrant that you have the authority to bind that company or other legal entity to these terms and, in such event, "you" and "your" will refer and apply to that company or other legal entity. If you accept or agree to these terms they shall continue in full force and effect, subject to termination in accordance with the provisions of these terms. The Online Enquiry Platform and Hire Space Expert Service are intended to be used to facilitate the introduction of Customers to Service Providers for the purpose of booking venues, or the provision of services related to venues, directly between those two parties. The Marketing Services services are intended to make Customers aware of a Service Provider so that they may book their venue, or use their venue related services. Hire Space does not control the content contained in any Listings, or other information provided directly or indirectly by the Service Provider, and does not make any warranty or representation to the Customer as to the condition, legality or suitability of any Venue. Hire Space is not responsible for and disclaims any and all liability related to any and all Listings and Service Providers. Accordingly, any Listings advertised by the Service Provider, or bookings made by the Customer, are done so at their own risk. 1.1 The service is operated by Hire Space Website Limited, a company registered in England and Wales under company number 07828456 whose registered office is at 40 Ashley Gardens, Ambrosden Avenue, London, SW1P 1QE (hereinafter, “Hire Space”). Account: means an account created by a Service Provider or by the Hire Space Team on behalf of a Service Provider on the Site for the purpose of creating Public or Private Listings, pursuant to the registration process and requirements as determined by Hire Space from time to time. Affiliate: any entity that directly or indirectly Controls, is Controlled by, or is under common Control with the Service Provider, which is otherwise not also a Service Provider. Agreed Commission: the agreed commission shall be 10%. Business Day: any day other than a Saturday or Sunday or a bank or public holiday in England. Completed Booking: shall mean a Confirmed Booking, following which the Event takes place in accordance with the agreement made at the time of Confirmed Booking, or on such other re-scheduled Event Date as the Service Provider and Customer may subsequently agree upon. Cancelled Booking: shall mean a Confirmed Booking following which the Customer notifies the Service Provider that the Event is cancelled and/or postponed for a period of not less than 3 years’ after the date on which a Enquiry is made. Confirmed Booking: shall mean a Service Provider agreeing with a Customer, in writing or otherwise, for a Service Provider to undertake the provision, hire or letting of goods and services involved in an Event in exchange for money or other benefit. Control: the beneficial ownership of more than 50% of the issued share capital of a company or the legal power to direct or cause the direction of the general management of that Person, and Controls, Controlled shall be construed accordingly. Customer: a Person or Company using the Services for the purpose of an event provided by the Service Provider. Customer Spend: the total final price (exclusive of VAT) agreed to be payable from the Customer to the Service Provider. This may be for the provision, hire or letting of a goods or services by a Service Provider to a Customer on an Event Date(s) (which shall include, but not be limited to, venue hire, accommodation, catering, cancellation fees and all other ancillary services required for the Event, which are provided or facilitated by the Service Provider). This shall include both items which are booked, or committed to via a minimum spend, before the Event Date(s) and items that are not pre-agreed but become payable on, or after, the Event Date(s). If the Service Provider has failed to provide Hire Space a Customer Spend within 30 days of the first Event Date(s) then the Customer Spend shall be the maximum feasible Customer Spend according to the information available to Hire Space. When a Service Provider has had to give a discount due to failure to provide a service, unsatisfactory service or similar circumstances then this discount shall not affect the Customer Spend. (f) a Service Provider refers a Customer (for whatever reason) to another Service Provider or an Affiliate which has been previously referred to them under points (a), (b), (c) or (d). An Enquiry shall be for any Events which arise from the chain of contact arising from an Introduction. For the avoidance of doubt, if a Customer initially enquiries regarding Event A, but on viewing a venue decides to book that Service Provider for Event B, then both Event A and Event B shall be commissionable. If a Customer returns, not via Hire Space, after Event A and wishes to book Event B then Event B shall not be commissionable. and “Enquiry” shall be interpreted accordingly. Event: the provision, hire or letting of a goods or services by a Service Provider to a Customer on an Event Date(s) in exchange for money or other benefit. This may be, but is not limited to, the hire of a venue or the provision of venue related services. Event Date(s): the date or consecutive dates on which an Event for which a Confirmed Booking is made, takes place. For the avoidance of doubt, this includes any set up and de-rig days. Hire Space Team: any officer, employee, agent or representative of Hire Space Website Limited, or any other person working on behalf of Hire Space. Introduction: after, or at the point, an Enquiry is made from which a Service Provider and a Customer communicate directly regarding an Event or other related arrangements. This introduction may be made by Hire Space, directly between the Customer and Service provider or by an unrelated third party. Listing: means a Public Listing or a Private Listing. Marketing Services: additional marketing activities carried out to market Service Providers to Customers. Person: shall mean any natural person, or corporate or unincorporated body (whether or not having separate legal personality). Public Listing: means a web page connected with the Account (as generated by the Site) which describes a Venue available for hire. Private Listing: means details of a Venue which have been submitted privately to the Hire Space Team (which can otherwise become a Public Listing subject to the express instruction of the Service Provider) for the purpose of allowing the Hire Space Team to advertise a Venue to Customers, otherwise than through the Site. This shall include details for a venue which are in the process of becoming a Public Listing as well as details for a venue which are intended to remain Private. Recurring Event: shall mean an Event(s) which repeat across multiple Event Dates which have arisen from a single Enquiry, or an Event(s) which re-occurs more than once with the same Service Provider. A series of lectures at the same Service Provider, or a Christmas party that repeats at the same venue are considered Recurring Events (i.e. same event re-ocurring), irrespective of how the Customer re-books the repeat events. A company Christmas Party followed by a quarterly reception (i.e. two different events, not recurrences of the same event), each organised at the same Service Provider by the same Customer but via separate Enquiries are not considered Recurring Events. Services: means those services which Hire Space provides to Service Providers and Customers from time to time, whether through the Site or otherwise. Site: the website as found at the root domain https://hirespace.com and including all subdomains. Venue: a location or set of locations of which a Service Provider has operational control over or may be compensated for the use of, and for which the Service Provider has advertised the use of such Venue through Hire Space (whether through the Site or otherwise). Service Provider ("You"): means the Person, or any of their representatives, in who may provide, hire or let goods or services to a Customer for an Event. 2.4 From the point of Introduction, the Service Provider and Customer may deal directly with one another for the purpose of arranging an Event, and Hire Space shall have no liability whatsoever to either the Service Provider or the Customer in relation to any contractual dealings between the Service Provider and Customer. 2.5 Hire Space reserves the right to contact either the Service Provider or the Customer at any time following a Enquiry so as to ascertain the status of the Enquiry and ask for feedback or any contracts related to a Confirmed Booking from either party. 3.1 In agreeing to receive Enquiries from Hire Space, the Service Provider agrees to act at all material times in good faith towards Hire Space. 3.2 The Service Provider shall provide Hire Space, in a timely manner, the information that Hire Space reasonably requires to carry out its duties, including marketing information for and details of the Services, and information about the Service Provider. 3.3 The Service Provider agrees to maintain up to date contact details in connection with the Account, and shall ensure in so far as is reasonably practicable that all guide prices in relation to any Listing, are accurate. (e) full Service Provider company name, company number; the registered office address, VAT number (if applicable). 3.5 In the case that the Service Provider does not provide the details outlined in 3.4 in a timely manner then Hire Space reserves the right to assume or estimate these dates / charges as best it can with the information provided. For the avoidance of doubt, Hire Space reserves the right to assume the maximum feasible spend and to invoice this as the Customer Spend if the Customer Spend is not provided within 30 days of the event. 3.6 The Service Provider may not advertise guide prices on the Site which are higher than any prices routinely quoted to prospective customers, or advertised elsewhere in the ordinary course of the Service Provider’s business. Further, the Service Provider may not quote prices to Customers which include Hire Space commission as an additional fee. 3.7 The Service Provider is responsible for the accuracy of all images and text which are connected to the Account, and shall use all reasonable endeavours to ensure that the content is maintained. Hire Space may create content on behalf of the Service Provider using information readily available from the public domain, or supplied to it by the Service Provider. 3.8 The Service Provider shall ensure that its Listings do not infringe any applicable laws, regulations or third party rights (including the use of material which is obscene, indecent, pornographic, seditious, offensive, defamatory, threatening, liable to incite racial hatred or acts of terrorism, menacing, blasphemous or in breach of any third party Intellectual Property Rights) (Inappropriate Content). 3.9 The Service Provider acknowledges that Hire Space does not purport to monitor the content of any Listings. Hire Space reserves the right to remove content from Listings where it reasonably suspects such content is Inappropriate Content. Hire Space shall notify the Service Provider promptly if it becomes aware of any allegation that any content contained in any Listing on the Site may be Inappropriate Content. 3.10 Provider shall be under no obligation to accept an Enquiry, but will be deemed to have received an Enquiry when it is first provided if they choose to accept the enquiry at a later date in accordance with clause 2.1. 3.11 In the event that the Service Provider is unwilling or unable to accept an Enquiry, the Service Provider agrees that it shall not refer that Enquiry to another entity, unless that entity is another Service Provider, or an Affiliate, in which case that Affiliate’s attention shall be drawn to these Terms and Conditions and its obligation to pay commission pursuant to clause 4.2. 4.1 In consideration of Hire Space facilitating the making of Enquiries to the Service Provider, the Service Provider agrees to, and shall be liable to pay commission to Hire Space, for any Enquiry which results in a Confirmed Booking, in accordance with the provisions set out in this clause 4. (c) where a member of the Hire Space Team suggests a Service Provider to a Customer, at such time as the Hire Space Team first contact the Customer with the suggestion (whether by way of email, telephone call, through the Site or otherwise) and not the time at which an acknowledgement from the Customer is actually received. 4.3 No commission shall be payable to Hire Space in respect of a Confirmed Booking where the Service Provider can provide written proof that a Customer has entered into bona fide negotiations with the Service Provider, before the Enquiry is made (as described in clause 4.2) in respect of the same Event to which a Confirmed Booking relates, in the 3 months immediately prior to making an Enquiry (as described in clause 4.2). This clause 4.3 shall not apply to repetitions of Recurring Events. 4.4 Where a Service Provider refers an Enquiry to an Affiliate in accordance with clause 3.11, for any Enquiry which results in a Confirmed Booking, the Affiliate shall be liable to pay commission to Hire Space in accordance with the provisions set out in this clause 4. (b) in the event of a Cancelled Booking, and where the Service Provider has retained a non-refundable payment from the Customer, the Agreed Commission of that payment (exclusive of VAT). 4.7 All payments due to Hire Space will be subject to VAT at the prevailing rate in force at such time as payment becomes due. 4.8 Hire Space reserves the right to charge a different rate of commission to that otherwise advertised on the Site or on a case by case basis at its absolute discretion as agreed in exchange of a signed document with the Service Provider, including for (but not limited to) registered charities. Unless agreed in exchange of a signed document between Hire Space and the Service Provider, the commission shall be the Agreed Commission. 4.9 Service Providers will be invoiced for the payment of commission the day after the first Event Date. 4.10 The due date for all invoices raised by Hire Space will be 28 days from the date on which any such invoice is raised. 4.11 Hire Space reserves the right to offer alternate payment terms on a case by case basis at its absolute discretion. 4.12 In the event that invoices are not paid within two weeks of their due date, your Account may be suspended and your credit rating may be affected. If you have any queries about invoices then please contact us directly on contact@hirespace.com. 4.13 For any invoices which are more than 30 days overdue, HIre Space reserves the right to pass these debts to a 3rd party debt collection agency or reclaim monies directly via the County Court Money Claim process. 4.14 Hire Space reserves the right to charge late payment penalties under the Late Payment of Commercial Debts Regulations 2002 (SI 2002 No 1674) and will charge between £40 and £100, depending on the size of the invoice, in addition to interest charged at 8% over the Bank of England base rate Late Payment of Commercial Debts Regulations 2002 (SI 2002 No 1674). 4.15 The liability of the Service Provider for the payment of commission is not subject to, nor conditional upon, the Service Provider having first received payment (whether invoiced or not) from the Customer in respect of the Confirmed or Completed Booking. 4.16 If a Customer defaults on payment to the Service Provider commission remains due and payable to Hire Space. Non-payment from the Customer to the Service Provider does not affect our terms of payment. 4.17 The Service Provider may claim back commission already paid in respect of Confirmed Bookings which are subsequently cancelled by the Customer, subject to providing satisfactory evidence of the same to accounts@hirespace.com, and subject to the deduction of any payment due in respect of the Cancelled Booking under clause 4.3(b). 4.18 The Service Provider may not claim back commission which has been paid to Hire Space in respect of a Confirmed Booking which is subsequently cancelled by the Service Provider. 4.19 Termination of the Service Provider’s Account (howsoever arising) shall not affect the continuation in force of this clause 4 and the Service Provider's obligation to pay commission to Hire Space in accordance with it in respect of any outstanding Booking Enquiries as at the date on which the Account is terminated. 4.20 For the avoidance of doubt, whether rates are expressed to the market as inclusive or exclusive, commission should be expressed on the VAT exclusive rate. For example a hire fee of £100.00 + VAT @ 20% = £120.00. Commission @ 10% (on the net amount = £10.00 + VAT @ £2.00. Total commission payable = £10 + £2 VAT = £12). 4.22 Hire Space may have Customer which whom they are contracted as the exclusive venue finder. All bookings from these clients shall be commissionable, irrespective of how the enquiry arises, even if the enquiry is brought to the venue by another venue finder. 5.1 The Intellectual Property Rights in all software made available and content supplied in connection with the Service Provider’s use of the Site and/or Services remains the property of Hire Space and/or its licensors, advertisers and/or content suppliers. 5.2 The Service Provider will comply with the terms of any agreement required by the owner of Intellectual Property Rights in all software and content supplied to the Service Provider for the purpose of using the Site and the Service Provider hereby acknowledges that all software that is not made readily available to it is confidential, and that all other rights including but not limited to database rights and copyright are asserted and reserved by Hire Space, its licensors, advertisers and content suppliers. 5.3 The Service Provider must not modify, translate, reverse engineer, decompile, disassemble (except to the extent that applicable laws expressly or impliedly prohibit such restriction) or create derivative works based on any software or any documentation accompanying such software supplied by Hire Space, its licensors, advertisers or content suppliers, via the Site. 5.4 The Service Provider shall not reproduce any marketing material created or commissioned by Hire Space for the Service Provider for use on the Site, for the Service Provider’s own external marketing off the Site, without written permission from Hire Space. 5.5 Any content a Service Provider uploads to Site will be considered non-confidential and non-proprietary. The Service Provider retains all of its ownership rights in such content, but is required and agrees pursuant to these Terms and Conditions to grant Hire Space a limited licence to use, store and copy that content and to distribute and make it available to third parties. 5.6 Hire Space may use any images or other media which has been uploaded to a Listing or made publicly available by a Service Provider, for the purpose of marketing Hire Space’s services. 5.7 Hire Space reserves the right to disclose a Service Provider’s identity to any third party who is claiming that any content posted or uploaded by the Service Provider to the Site constitutes a violation of their Intellectual Property Rights or of their right to privacy. 5.8 Hire Space will not be responsible, or liable to any third party, for the content or accuracy of any content published by Service Providers or Customers to the Site or otherwise. 5.9 Hire Space reserves the right to remove any Listing, if in Hire Space’s opinion, that Listing does not comply with acceptable content standards. 6.1 Hire Space shall have no authority, and shall not hold itself out, or permit any person to hold itself out, as being authorised to bind the Service Provider in any way, and shall not do any act which might reasonably create the impression that Hire Space is so authorised. Hire Space shall not make or enter into any contracts or commitments or incur any liability for or on behalf of the Service Provider, including for the provision, hire or let of any goods or services or the price for them. 6.2 Hire Space shall disclose to each Customer that it has no authority to enter into any contract on behalf of the Service Provider. 6.3 Nothing in these Terms and Conditions are intended to, or shall be deemed to, establish any partnership or joint venture between any of the parties, constitute any party the agent of another party, or authorise any party to make or enter into any commitments for or on behalf of any other party. 6.4 Hire Space shall not warrant or represent to the Customers that any Service Provider is of satisfactory quality and/or reasonably fit for any of the purposes for which the Service Provider is required. 6.5 The Service Provider acknowledges that if for any reason a Customer is not content with a Service Provider, the Customer’s claim is against the Service Provider and the Service Provider alone. 6.6 Hire Space shall use its reasonable endeavours to ensure that use of the Services is safe and secure and that the Site is functioning properly. 6.7 Hire Space offers no guarantee that the Site, or any content on it, will always be available or be uninterrupted. Access to the Site is permitted on a temporary basis. Hire Space may suspend, withdraw, discontinue or change all or any part of the Site without notice and shall not be liable to the Service Provider if for any reason the Site is unavailable at any time or for any period. 6.8 The Service Provider is responsible for making all arrangements necessary for the Service Provider to have access to the Site, and the Service Provider shall be solely responsible for ensuring that use of the Site does not result in any damage to the Service Provider’s computer systems or data loss which might arise from use of the Site and/or disruption to the Services. (g) the Service Provider’s need to modify practices, content, or behaviour or loss of or inability to do business, as a result of changes to these Terms and Conditions or our policies (and Hire Space reserves the right to modify its policies and these Terms and Conditions at any time consistent with the provisions outlined in these Terms and Conditions). 6.10 Hire Space cannot confirm, and is not responsible for ensuring, the accuracy or truthfulness of Service Providers’ or Customers’ purported identities, or the validity of the information which they provide to Hire Space or post on the Site. 6.11 For the avoidance of doubt, Hire Space shall not be liable for any loss or damage caused to the Service Provider arising from the actions or default of any Customer (for whatever reason whatsoever) and Hire Space makes no representations or warranties to the Service Provider as to the Customers who may engage with the Service Provider, as a direct result of Hire Space carrying out the Services. 7.1 Hire Space may in its absolute discretion offer marketing services to Service Providers from time to time, for which a fee is payable on the terms in clause 4.10. 7.2 The Marketing Services shall be offered in accordance with these terms and any additional provisions as advertised on the Site or otherwise through the Hire Space Team (in each case as may be varied from time to time). 7.3 The Marketing Services may include (but shall not be limited to) consultation with the Hire Space Team as to the appearance and creation of effective Listings, photography packages, advice as to promotional strategies, premium placement of Listings in highly visible areas of the Site, and direct marketing by the Hire Space Team on the Service Provider’s behalf, by way of social media campaigns and marketing, content marketing, conversion rate optimisation, search engine optimisation, website analytics, newsletters and mailshots, and the organisation of promotional events specific to a Venue. It may also include marketing under our EventLAB brand. 7.4 The Service Provider accepts that in the course of carrying out the Marketing Services, Hire Space may from time to time promote a Service Provider through marketing literature or social media platforms, and make such representations on the Service Provider’s behalf as the Hire Space Team shall think fit, in order to promote the Venue or Service Provider. 7.6 The Service Provider agrees that, in accepting these Terms and Conditions, it has not relied on any representations (whether written or oral) of any kind or of any person other than those expressly set out in these Terms and Conditions or (if it did rely on any representations, whether written or oral, not expressly set out in these Terms) that it shall have no remedy in respect of such representations and (in either case) Hire Space shall not in any circumstances have any liability otherwise than in accordance with the express Terms and Conditions set out herein. 7.7 Without prejudice to any other express limitation of liability within these Terms and Conditions, the total liability of Hire Space, whether in contract, tort (including negligence) or otherwise in connection with the Paid Services, shall in no circumstances exceed a sum equal to 100% of the Charges payable by the Service Provider to Hire Space in the period in which the liability arises. 7.8 Hire Space offers no representations or warranties as to the effectiveness of the Marketing Services for the purpose of generating Booking Enquiries or Confirmed Bookings. 7.9 All amounts due to Hire Space in respect of the Paid Services shall be paid by the Service Provider in full without any set-off, counterclaim, deduction or withholding (other than any deduction or withholding of tax as required by law). 7.10 For the avoidance of doubt, Events booked during the time when a Service Provider is being marketed shall be commissionable as described in section 4. 7.10 Hire Space reserves the right to cease the Marketing Services with no refund if there is a breach of these terms by the Service Provider. 7.11 Hire Space retains the right to full editorial control for all content produced and distributed as part of the Marketing Services. The Service Provider shall have no claim against Hire Space arising from the production or distribution of content as part of the Marketing Services. 8.1 We will contact you by e-mail, by post or by providing you with information by posting notices on the Site. 8.2 Notices will be deemed received and properly served immediately when posted on the Site and immediately after an email is sent, or three days after the date of posting of any letter sent within the UK. (b) the Service Provider commits a material breach of any term of these Terms and Conditions and such breach is irremediable, or (if such breach is remediable) the Service Provider fails to remedy that breach within a period of 30 days after being notified in writing to do so. 9.2 The Service Provider may terminate its agreement with Hire Space at any time, or request that one or more Listings be taken down from the Site at any time, by sending notice to venues@hirespace.com. 9.3 Hire Space may terminate or suspend any part of the Services at any time, without giving notice to the Service Provider. 9.4 Termination of the agreement by either the Service Provider or Hire Space, or termination of the Services by Hire Space (as the case may be) shall not affect any rights, remedies, obligations or liabilities that the parties have accrued up to the date of termination, including the right to claim damages, commissions or other monies due in respect of any breach of these Terms and Conditions which existed at or before the date of termination. 9.5 Any Enquiries made to a Service Provider before the date of the Termination of the agreement shall be commissionable after the date of the Termination of the agreement. The Service Provider agrees to indemnify, defend and hold harmless Hire Space, its directors, officers, employees, consultants, agents, and Affiliates, from any and all third party claims, liability, damages and/or costs (including, but not limited to, legal fees) arising from, without limitation, the Service Provider’s use of the Site and Services, any breach of these Terms and Conditions, infringement of any Intellectual Property Rights or any other right of any Person or entity, or breach of any duty of confidence or privacy, or any defamatory statements made by the Service Provider in any form. No failure or delay by Hire Space to exercise any right or remedy provided under these Terms and Conditions or by law shall constitute a waiver of that or any other right or remedy, nor shall it prevent or restrict the further exercise of that or any other right or remedy. No single or partial exercise of such right or remedy shall prevent or restrict the further exercise of that or any other right or remedy. Hire Space reserves the right to vary these Terms and Conditions unilaterally from time to time. You should regularly check and read the Terms and Conditions for any updates and/or amendments. Hire Space will notify venues should these Terms and Conditions change. If you do not agree to any of the updates or amendments at any time you should cease to use our Services. If any provision or part-provision of these Terms and Conditions becomes invalid, illegal or unenforceable, it shall be deemed modified to the minimum extent necessary to make it valid, legal and enforceable. If such modification is not possible, the relevant provision or part-provision shall be deemed deleted. Any modification to or deletion of a provision or part-provision under this clause shall not affect the validity and enforceability of the rest of these Terms and Conditions. 14.1 These Terms and Conditions and any dispute or claim arising out of or in connection with them or their subject matter or formation (including non-contractual disputes or claims) shall be governed by and construed in accordance with the law of England and Wales. 14.2 Each party irrevocably agrees that the courts of England and Wales shall have exclusive jurisdiction to settle any dispute or claim arising out of or in connection with these Terms and Conditions or their subject matter or formation (including non-contractual disputes or claims). 15.1 This agreement constitutes the entire agreement between the parties and supersedes and extinguishes all previous drafts, agreements, arrangements and understandings between them, whether written or oral, relating to its subject matter. 15.2 Each party acknowledges that in entering into this agreement it does not rely on, and shall have no remedies in respect of, any representation or warranty (whether made innocently or negligently) that is not set out in this agreement. 15.3 No party shall have any claim for innocent or negligent misrepresentation based upon any statement in this agreement. 16.1 A person who is not a party to this Agreement may not enforce any of its terms under the Contracts (Rights of Third Parties) Act 1999 (“the Act”). Where any clause of this Agreement entitles any person to enforce any term of this Agreement under the Act, the parties reserve the right to vary that term or any other term of this Agreement without the consent of that person. The Site and services made available through it (the “Services”) comprise an online platform through which venue providers may create listings for the hire and letting of event venues, and consumers browsing the Site may learn about and book venues directly with venue providers. You understand and agree that Hire Space is not a party to any agreement entered into between any venue provider listing a venue on the Site, and a consumer using the Site, nor is Hire Space acting as an agent, or in partnership with any venue provider or consumer. Hire Space has no control over the conduct of venue providers, consumers, other users of the Site and Services, listings, or any venue advertised on the Site, and disclaims all liability in this regard to the maximum extent permitted by law. You acknowledge and agree that, by accessing or using the Site or Services or by downloading or posting any content from or on the Site or through the Services, you are indicating that you have read, and that you understand and agree to be bound by these terms, whether or not you have registered on the Site. If you do not agree to these terms, then you have no right to access or use the Site or Services. If you accept or agree to these terms on behalf of a company or other legal entity, you represent and warrant that you have the authority to bind that company or other legal entity to these terms and, in such event, "you" and "your" will refer and apply to that company or other legal entity. The Site and Services are intended to be used to facilitate the introduction of consumers to venue providers for the purpose of booking venues directly with one another. Hire Space does not control the content contained in any listings created by venue providers and does not make any warranty or representation to consumers using the Site as to the condition, legality or suitability of any venue advertised on the Site, or by a member of the Hire Space Sale Team. Hire Space is not responsible for and disclaims any and all liability related to any and all listings and venues. Accordingly, any listings advertised by a venue provider, or bookings made by a consumer, are done so at their own risk. Our Acceptable Use Policy found here: https://hirespace.com/Policies#acceptable, which sets out the permitted uses and prohibited uses of our Site. When using our Site, you must comply with this Acceptable Use Policy. https://hirespace.com is a website operated by Hirespace Limited ("We"). We are registered in England and Wales under company number 07828456 and have our registered office at 131 Great Suffolk Street, London SE1 1PP. The content on our Site and any information provided by a member of the Hire Space team is provided for general information only. It is not intended to amount to advice on which you should rely. You accept that taking, or refraining from, any action on the basis of the content on our Site, is done at your own risk. We assume no responsibility for the content of websites linked on our Site. Such links should not be interpreted as endorsement by us of those linked websites. We will not be liable for any loss or damage that may arise from your use of them and in particular, Hire Space does not make any warranty or representation to users of the Site as to the condition, legality or suitability of any venue advertised on the Site, or as suggested by a member of the Hire Space Sale Team. Different or supplemental limitations and exclusions of liability may apply to any liability arising as a result of your use of our Site for the purpose of advertising venues, which will be set out in our Terms and Conditions for venue providers, here: https://hirespace.com/Policies#venues, or alternatively, such other terms as we may from time to time provide you with by giving written notice of the same. Whenever you make use of a feature that allows you to upload content to our Site, or to make contact with other users of our Site, you must comply with the content standards set out in our Acceptable Use Policy, here: https://hirespace.com/Policies#acceptable. We have the right to remove any posting you make on our Site if, in our opinion, your post does not comply with the content standards set out in our Acceptable Use Policy, here: https://hirespace.com/Policies#acceptable. The website in which you are linking must comply in all respects with the content standards set out in our Acceptable Use Policy here: https://hirespace.com/Policies#acceptable. If you wish to make any use of content on our Site other than that set out above, please contact contact@hirespace.com. This acceptable use policy sets out the terms between you and us under which you may access our website, https://hirespace.com (the “Site”). This acceptable use policy applies to all users of, and visitors to, the Site. Social Media / RSS feeds. These content standards apply to any and all material (including venue listings) which you contribute to our Site (“Contributions”), and to any interactive services associated with it. We may revise this acceptable use policy at any time by amending this page. You are expected to check this page from time to time to take notice of any changes we make, as they are legally binding on you. Some of the provisions contained in this acceptable use policy may also be superseded by provisions or notices published elsewhere on our Site, or sent directly to you. Hire Space Website Limited ("We") are committed to protecting and respecting your privacy. This policy and the other documents contained in the Legal section of our website sets out the basis on which any personal data we collect from you, or that you provide to us, will be processed by us. Please read the following carefully to understand our views and practices regarding your personal data and how we will treat it. For the purpose of the Data Protection Act 1998 the data controller is Hire Space Website, registration number 7828456, and with registered address 40 Ashley Gardens, Ambrosden Avenue, SW1P 1QE. Any questions you may have on how we use your data can be directed to Data Protection Officer, Hire Space, Borough Studios, 131 Great Suffolk Street, London SE1 1PP. Hire Space does not store any personal banking details. Any payment transactions are carried out by appropriately regulated 3rd parties and only they will hold your details. Where we have given you (or where you have chosen) a password which enables you to access certain parts of our site, you are responsible for keeping this password confidential. We ask you not to share a password with anyone. Hire Space complies with its obligations where your personal data is concerned by keeping it up to date; by storing and destroying it securely; by not collecting or retaining excessive amounts of data; by protecting personal data from loss, misuse, unauthorised access and disclosure and by ensuring that appropriate technical measures are in place to protect personal data we hold. Processing of your data for transactional purposes will be required for a period of ten years after your enquiry is considered “Closed” by Hire Space, or if an enquiry is “Pending” for a period of ten years and three months without action. An enquiry may be considered “Pending” if we have not been informed by you or by venues we have contacted on your behalf, and with your explicit permission, that your enquiry is “Closed”. Optimisation. We may use data you make available to us during your transaction to improve in our legitimate interest the experience and personalise our platform for our users, to understand, administer, develop and improve our platform and to create a safe and trusted environment for our users. We may also request feedback from you about our platform and venues you book through us. Key Announcements. To occasionally in our legitimate interest inform you of updates to, and news about, Hire Space and its key products, including updates to our terms and conditions, news on product releases, venue updates, invitations to key events and other exceptional announcements deemed relevant to you. Marketing and Promotions. With your consent, to periodically provide you with information by email we believe will enrich your experience as a venue-booker, including, updates on new venues, deals and offers and event invitations and industry news and commentary. Transactional communications. These refer to the use of your name, email address and telephone number for the purposes in our legitimate interest of facilitating a specific transaction, usually an enquiry for your venue through our platform, and to provide you with customer service, support and service notices, reminders, technical updates and security alerts relating to that enquiry. Processing of your data for transactional purposes is ongoing and may be terminated at your request, either by removing your venue from Hire Space or by contacting us at venues@hirespace.com or on 0207 099 2512. Key Announcements. To occasionally in our legitimate interest inform you of updates to, and news about, Hire Space and its key products, including updates to our terms and conditions, news on product releases, Invitations to key events and other exceptional announcements deemed relevant to you. Your personal data will be treated as strictly confidential, and will be shared only with venues or venue-bookers, in relation to a specific enquiry, with your explicit permission. We will not share your data with third parties, except with your explicit written permission. We will never share your data outside of the EU except with your explicit written permission, or to put you in touch with a venue outside that jurisdiction with your permission. We may share your personal data to any of our insurers, members, employees, professional advisers, agents, suppliers, contractors or subcontractors as required for the purposes outlined in this policy. For data processing for the purposes of Transactional Communications, we will use your personal data for a period of ten years after your enquiry is considered “Closed” by Hire Space, or if an enquiry is “Pending” for a period of ten years and three months without action. An enquiry may be considered “Pending” if we have not been informed by you or by venues we have contacted on your behalf, and with your explicit permission, that your enquiry is “Closed”. For data processing for the purposes of Optimisation and Key Announcements, Hire Space will keep your personal data until the point at which you instruct us to securely delete that personal data. You may instruct us to securely delete your personal data at any time by writing to Data Protection Officer, Hire Space, Borough Studios, 131 Great Suffolk Street, London SE1 1PP. 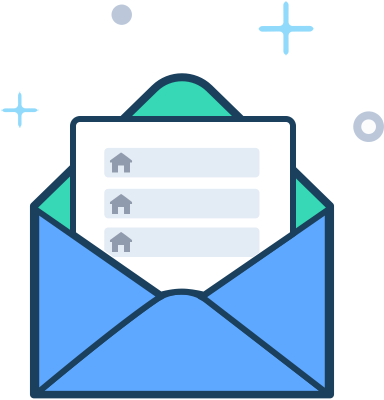 For data processing for Marketing and Promotions, Hire Space will keep your data until you unsubscribe from our email communications or you withdraw your consent. You may withdraw your consent at any time by writing to Data Protection Officer, Hire Space, Borough Studios, 131 Great Suffolk Street, London SE1 1PP. Processing of your data is ongoing in order to facilitate enquiries to your venue, and may be terminated at your request, either by removing your venue from Hire Space or by contacting us at venues@hirespace.com or on 0207 099 2512. Our data protection registration number is Z3074185. The cookies we use allow us to recognise and count the number of visitors and to see how visitors move around the site when they are using it. This helps us to improve the way our website works, for example by ensuring that users are finding what they are looking for easily. They also allow us to give you access to certain private parts of our website. You block cookies by activating the setting on your browser that allows you to refuse the setting of all or some cookies. However, if you use your browser settings to block all cookies (including essential cookies) you will not be able to use the site to make bookings. This rewards and referrals policy (Policy) sets out the terms applicable to Hire Space rewards, which Hire Space users receive when they make a Booking or a Referral using a Promo Code, and which entitle them to a voucher worth £10 for every £1,000 spent on a Booking. Where a Referral is made, both the person referring and the person referred are entitled to the Reward. Rewards are offered by Hire Space Website Limited, a private limited company registered in England and Wales under company number 07828456 whose registered office is at Studio A01, The Biscuit Factory, London SE16 4DG (Hire Space, we or us). ALL REWARDS ARE SUBJECT TO THE TERMS OF THIS POLICY AND, BY ACCEPTING REWARDS, YOU WILL BE DEEMED TO HAVE UNDERSTOOD AND AGREED TO ABIDE BY THE TERMS OF THIS POLICY. Acceptable Use Policy: the website acceptable use policy by which users of the Site agree to abide, as amended from time to time, the current version of which is available at https://hirespace.com/Policies#tab_acceptable. Marketing Promo Code: a unique code issued to a Hire Space user by Hire Space (other than a Personal Promo Code), via the Site or otherwise, usually in conjunction with a particular marketing campaign (e.g. a Christmas promo code), which entitles that Hire Space user to a Reward. Hire Space users may share Marketing Promo Codes with third parties, but a Reward may only be derived from use of a Marketing Promo Code once. Personal Promo Code: a unique code issued to a Hire Space user by Hire Space (other than a Marketing Promo Code), via the Site or otherwise, which entitles that Hire Space user to a Reward. Hire Space users may share Personal Promo Codes with third parties and Rewards may be derived from use of Personal Promo Codes on an ongoing basis. Promo Codes: Marketing Promo Codes and Personal Promo Codes collectively. Referral: the introduction by a Hire Space user of another person to Hire Space who makes a Booking using that Hire Space user’s Personal Promo Code. Reward: a voucher or other non-cash reward worth £10 for every £1,000 spent on a Booking (the value of a Booking will be estimated at the time the Booking is made and the value of the Reward will be based on that estimate), which may be granted from time to time by Hire Space to a Hire Space user when a Booking or Referral is made by a Hire Space user using a Promo Code. (b) Unless the context otherwise requires, words in the singular shall include the plural and in the plural shall include the singular. (c) Unless the context otherwise requires, a reference to one gender shall include a reference to the other genders. (d) A reference to a statute or statutory provision is a reference to it as it is in force at the date of this Policy. 2.1 All Rewards are subject to the terms of this Policy and Hire Space users, by accepting Rewards, will be deemed to have understood and agreed to the terms of this Policy. 2.2 Rewards are available to individuals only (i.e. not companies or any other incorporated or unincorporated bodies). Whether a Hire Space user makes a Booking in his or her personal capacity, or in his or her capacity as an employee on behalf of his or her employer, the Reward will be awarded to the person who makes the Booking and not to his or her employer. 2.3 Rewards are also available to Hire Space users who refer a friend or a colleague who subsequently makes a Booking using a Personal Promo Code (on the Site or otherwise). 2.4 No person has an automatic right to a Reward and Hire Space may in its absolute discretion refuse to honour a Reward if it considers it appropriate to do so (e.g. if the Booking is cancelled before the Reward is granted or for any other reason in accordance with law). (b) such other calculation and/or value as Hire Space may in is absolute discretion determine from time to time. 3.3 Hire Space reserves the right to establish different categories of Rewards which may be made available to Hire Space users in order to run marketing campaigns and promotions. Hire Space will endeavour to publish any such amendments in a revised version of this Policy on the Site promptly after any such amendment has been made. 3.4 No Hire Space user may request that Hire Space convert any Reward or exchange any Reward for cash or any other benefit and Hire Space will be under any obligation to do so. 3.5 Rewards granted in accordance with this Policy may be subject to third party terms and conditions separate from and additional to those set out in this Policy. Hire Space makes no representation or warranty and disclaims all liability in respect of any such third party terms and conditions. 4.1 A Reward will be granted to one individual Hire Space user only in his or her personal capacity in respect of each Booking and/or Referral. (c) that they are in full compliance at all times with the terms of their employers’ anti-bribery policy or other similar policy (if any) and/or with the provisions of the Bribery Act 2010. 4.3 Hire Space users who are unclear about the scope of their obligations pursuant to this clause 4, their employers’ anti-bribery policy or other similar policy (if any) and/or pursuant to the Bribery Act 2010 should seek advice and clarification from their employer. 5.2 In the event of misuse for which the Hire Space user is responsible, Hire Space may block, suspend, withdraw or refuse to issue any Reward. The provisions in this clause 5.2 do not affect in any way any other rights which Hire Space may have, including the right to terminate, to issue proceedings or to claim damages. 5.3 Hire Space reserves the right to terminate this Policy and discontinue Rewards at any time. 6.1 Exclusion of liability. Hire Space disclaims all liability in respect of any Hire Space user in relation to this Policy and Rewards to the fullest extent permitted by law. 6.2 Data protection. Personal data relating to Hire Space users will be processed by Hire Space from time to time for the purpose of granting Rewards and Hire Space will comply at all times with the terms of the Data Protection Act 1998. 6.4 Governing law and jurisdiction. This Policy is governed by the Laws of England and Wales and the Courts of England and Wales shall have exclusive jurisdiction to determine any dispute arising out of or in connection with it.